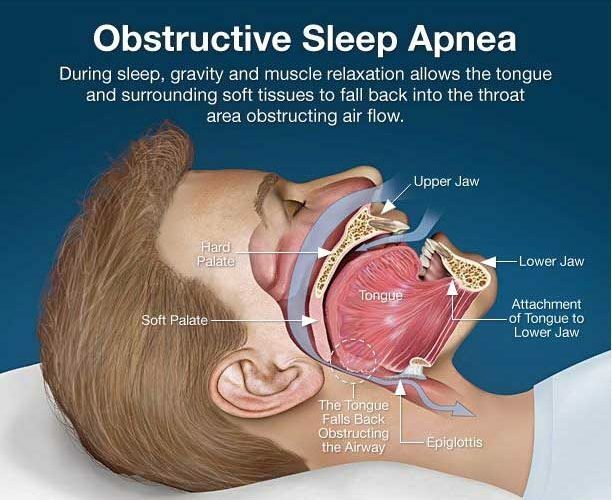 A significant proportion of chronic snorers have obstructive sleep apnoea (OSA). Since OSA is a medical disorder with serious health implications it is important that you have a diagnostic sleep study as this is the only way it can be diagnosed. Oral appliance therapy has been scientifically proven to be effective in treating snoring and mild to moderate OSA. For people with severe OSA the CPAP (Continuous Positive Airway Pressure) machine is recommended as the gold standard treatment; however oral appliance therapy can often be used effectively in such cases if the patient cannot tolerate the CPAP machine. While well documented evidence exists that oral appliances have substantially reduced snoring and sleep apnoea in many cases, there is no guarantee that this therapy will be successful for everyone. Numerous factors contribute to snoring / sleep apnoea problem such as nasal obstruction, narrow airway space in the throat, and excess weight constricting the airway. Since each person has their own individual set of factors, an oral appliance may not reduce snoring in every individual. While such factors will be assessed prior to treatment, the effect of these factors can be to some extent unpredictable. The majority of people find dental sleep appliances comfortable. If you suffer hyper sensitivity, it may be challenging to tolerate the appliance in their mouth. Side effects will be discussed during your clinical visit. As everything, there are always some side effect. With the appliance, most side effects are temporary and subside after a few weeks. Some of the side effects are excessive salivation, dry mouth, sore jaw joints or muscles, or discomfort to teeth and gums. It is extremely rare for an oral appliance to have an impact on a well fitted and designed crown or bridge. It is recommended to have an initial review 4-6 weeks after receiving the appliance. As well it is vital that regular twelve monthly follow up visits are done, in order to ensure treatment remains successful, and to evaluate the response of the teeth and the jaw joint. The appliance can also be checked for any excessive wear or damage. The regular follow up visits are also important to assess the possibility of any bite changes. Individuals who have been diagnosed with sleep apnoea should notice that after sleeping with an oral appliance they feel more refreshed and alert during the day and are no longer snoring. While this improvement is important, the only way to objectively measure the degree of improvement of the sleep apnoea is to have a sleep study while wearing the appliance and a follow up consultation with their sleep physician. The need for a follow up sleep study will be determined by your sleep physician.